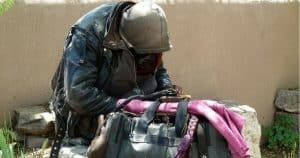 There is a lot of talk about what to put in your Bug Out Bag and how to make a Wilderness Survival Pack. I fully encourage everyone to pack these survival bags and have them ready to go in case an emergency strikes. But, when a disaster occurs, there is a good chance it will happen while you are at home or work. Considering that a staggering 80% of Americans live in urban areas, it only makes sense that you’d want to have an urban survival kit to help you through the disaster. Most preppers and survivalists imagine themselves fleeing to the wilderness in a SHTF situation. I am all about learning outdoor survival skills like off-grid cooking and how to build a survival shelter, but the reality is that most of us would be better off hunkering down (bugging in) instead of bugging out. A young, fit man who has knowledge of edible plants and hunting techniques might be fine in a wilderness survival situation, but what about a family with two young children? Then there is the issue of population. According to recent stats, the United States has a population density of about 84 people per square mile. But that counts Alaska. If you live in the continental USA, then the population density is going to be a lot higher. New Jersey has a density of 1,201 people per square mile. In Florida, it is 364. In Alabama, it is 95. I strongly encourage everyone to stockpile survival supplies at home in case of an emergency. But this isn’t enough. 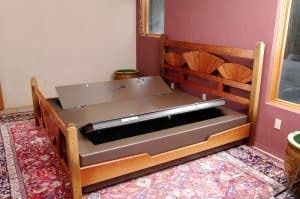 There are plenty of scenarios which could have you leaving your home. 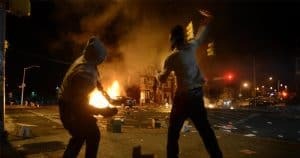 Rioters invade your home. Your home catches on fire. Your home is contaminated from a chemical attack… You will want to have an urban survival kit handy to help you survive in the city outside of your home. And, even if you are fleeing into the wilderness, you will still have to get through the city first! The bottom line? Pack an urban survival kit and have it handy at all times! 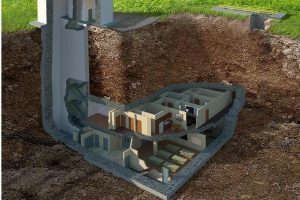 There are a lot of things I’d like to have on hand in an urban survival situation. A crow bar is one (would make a great weapon and useful for breaking into locked buildings to find supplies and shelter). A camouflage tarp would be great too. But I’m not going to carry all of these things around with me every time I leave the house! Shelter: There isn’t a big need for emergency shelter because you can use existing structures. Looting: Most everyday supplies will be readily available in abandoned buildings. I’m not encouraging looting but, in an SHFT situation, take what you need to survive! Communication: How will you get in contact with your family or seek help? I actually keep a flashlight on my key ring and am constantly finding situations where I am grateful to have it. In a disaster situation where the grid goes down, you’ll be even more grateful to have some emergency lighting available. Don’t just buy any keychain-sized flashlight to put in your urban survival kit. Most of them that you find in stores are really terribly made. The battery will only last an hour, and the brightness isn’t enough to help you in a true disaster situation (imagine trying to rescue your family members from rubble with a dinky flashlight!). Only buy a flashlight if it gives information about the run time and lumens (aka output). I really like the Inova XS flashlight because it has 2 brightness levels and is only 2.9 inches long (will fit in your Altoid tin!). At the 13 lumen brightness level, it will run 29 hours. At the higher level of 80 lumens, it will last 1 hour. Please don’t rely on a lighter for your fire starter! They are made from cheap plastic and can easily break. Matches are a better option, just make sure they are in a waterproof container. There are also plenty of match-less fire starters like flints. 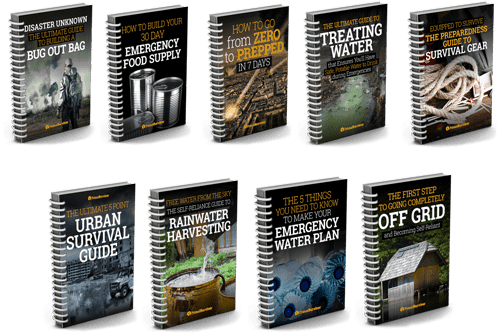 Unlike with wilderness survival situations, you will be able to find just about everything you need in an urban survival situation — the problem is simply accessing all of those supplies which are locked away in people’s homes! I’m not encouraging people to loot, but looting is definitely better than starving to death. Put a small lock picking kit in your urban survival kit and learn how to use it. Have a few water purification tablets in your urban survival kit. You can also use a small amount of bleach to purify water. Most homes have bleach, which is where the lock picking set comes in handy. You will need this for writing messages to people. I prefer a crayon because it doesn’t run when wet, it doesn’t dry out, and you can make big signs a lot faster. A lot of people recommend putting sewing kits in their urban survival kits, but I find this overkill. A few safety pins are nice though. They can be used to hold together torn clothes, remove splints and slivers from your skin, used to hold bandages in place, and much more. This is very useful for signaling for help. It also is great for scaring off attackers and feral dogs. If communications go down, this isn’t going to help you. But, in disaster situations where communication systems are still in place, you’ll be glad to have a small phone charger to keep your cell battery alive so you can call your loved ones. 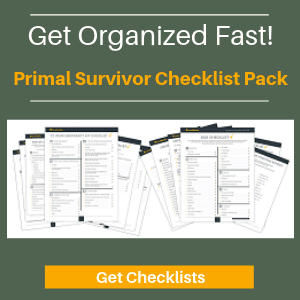 Do you have a survival kit? What is in yours? Let us know in the comments or join the discussion on Facebook. My kit includes emergency cash and a compass. How do you feel abought adding silver and gold to your bug out kit. 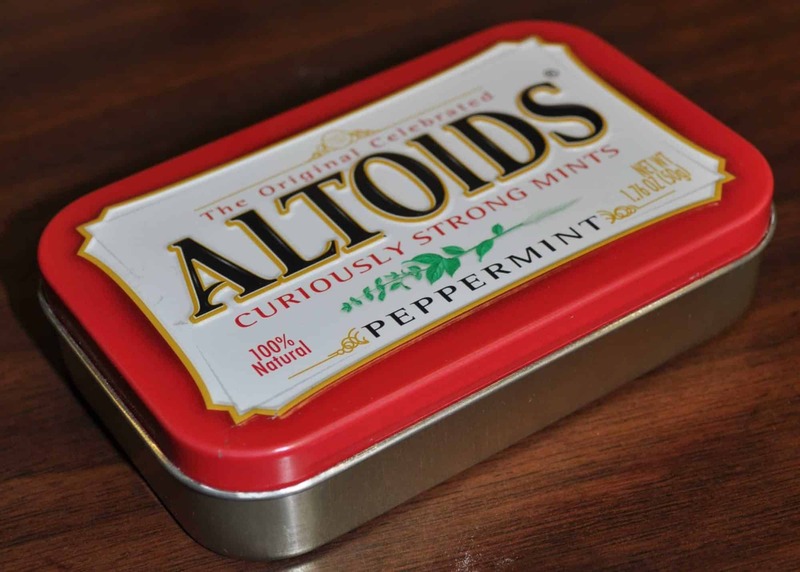 Not really practical for a kit in an altoids tin – cash is easier and more useful short term. For a long term SHTF situation they may have some value for barter or trading. A lot of people don’t want to hear it but you will or should have a fire arm. A 22 caliber survival rifle or a hand gun in 357 magnum (you can fire 38 special with it) and a lot of ammunition for them. For hunting and protection. Also some fishing tackle too. It could turn into a cruel world very quickly if everything goes bad. I hope it doesn’t for all of our sake. wind protection … put in heavy duty plastic baggie, and use a couple of “Ranger bands” [can be made by cutting a bicycle inner-tube into bands] to attach to outside of Altoids tin.